New. Fast Dispatch. Expedited UK Delivery Available. Excellent Customer Service. Very Good. The second edition of Health Psychology is substantially revised and updated to reflect key developments and the latest research in this rapidly expanding discipline. Trade paperback (US). Glued binding. 422 p. Contains: Tables, black & white, Figures. NEW. 9781405194600 This listing is a new book, a title currently in-print which we order directly and immediately from the publisher. For all enquiries, please contact Herb Tandree Philosophy Books directly-customer service is our primary goal. New. 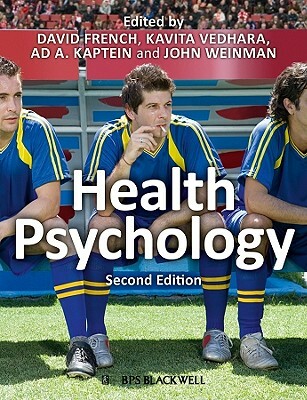 The second edition of Health Psychology is substantially revised and updated to reflect key developments and the latest research in this rapidly expanding discipline. Editor(s): French, David N.; Vedhara, Kavita; Kaptein, Ad A.; Weinman, John. Num Pages: 432 pages, black & white tables, figures. BIC Classification: JM; MBNH9. Category: (P) Professional & Vocational. Dimension: 246 x 190 x 23. Weight in Grams: 726. 2010. 2nd Edition. Paperback.....We ship daily from our Bookshop. New. Trade paperback (US). Glued binding. 422 p. Contains: Tables, black & white, Figures.